I was reminded of the benefits of kinesiology tape a few days ago when I started to suffer from some lower back pains. I had Mrs. GolfBlogger help me apply some KT tape to the affected area, and the pain very quickly disappeared. 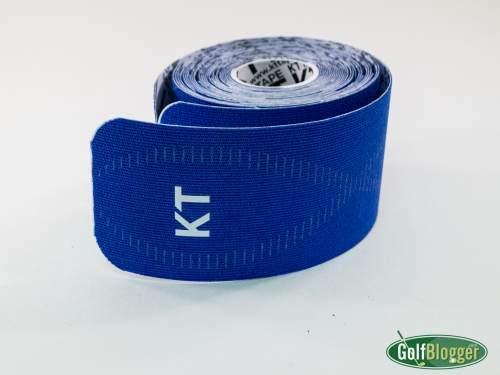 You’ll see KT tape on a lot of athletes these days. Indeed, the first time I became aware of it was when I saw Michelle Wie wearing the tape at a tournament. I did a review of the Kinesiology KT Tape a couple of years ago. From my perspective, it’s good stuff. Consult a doctor. Your results may very. I’m not a certified trainer. Yada yada.